Super Bowl prop bets (short for “proposition bets”) are those that revolve around something that happens during the game that doesn’t directly affect the final outcome of the game. They’re fun to make up on the spot and will keep you entertained if football isn’t exactly your thing. You can make Super Bowl prop bets about anything from fans in the stands to what happens during the halftime show. And we have some ideas of where to start. If you are in the betting mood, you can essentially choose any variable during the entire Super Bowl. That means everything is fair game, not just the battle between New England and Philadelphia. So in honor of this wonderful sport, we have pulled together a list of the more fun things to bet on with your friends when you’re gathered around the television. (Again, not for real money!) BetDSI keeps a pretty comprehensive list of Super Bowl prop bets, and some of the most popular prop bets so far might surprise you. Everything is up for grabs here. How long will Pink sing the national anthem? WILL Pink actually sing the national anthem? (She’s seriously fighting the flu right now.) And if she doesn’t, who will sing it? How long will Leslie Odom Jr. sing “America the Beautiful?” Will there be any surprise appearances that we don’t know about yet? How many commercials will Peyton Manning appear in? What about Eli Manning? Will any of the commercials make you cry? 3Bet on the coaches’ clothes and the words people say. You can actually bet on the words that come out of announcers mouths during this year’s Super Bowl. Will sportscaster Al Michaels say the words “underdog” or the phrase “City of Brotherly Love”? How many times? And how many times will people say “Dilly” during the show? Will Patriots’ defensive coordinator Matt Patricia wear a hoodie? And what color will it be? Yes, people actually think about these things. When it comes to placing Super Bowl prop bets, everything you can see and hear is fair game. 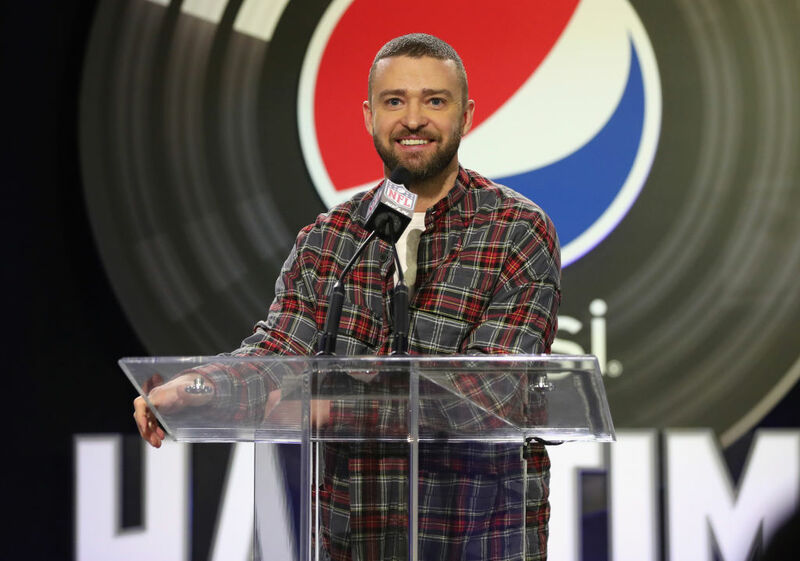 Justin Timberlake is taking on the Super Bowl halftime show and could possibly have special guests. What song will he sing first? Will he sing any covers? Will any of his Man Of The Woods collaborators join him on stage? (We are 100% looking at you Alicia Keys, Pharrell, and Chris Stapleton.) Even though Janet Jackson said she won’t appear, will she surprise us? What about Britney Spears, Jay-Z, or a member of *NSYNC? What about ALL the members of *NSYNC? The 45th President of the United States is a consistently inconsistent variable. Will Trump go to the game? Just how many tweets will he fire off during gameplay? Will any of the performers mention Trump? Do you think the winning team will visit the White House, as is usually custom? Phew. Place your potential Super Bowl prop bets now!